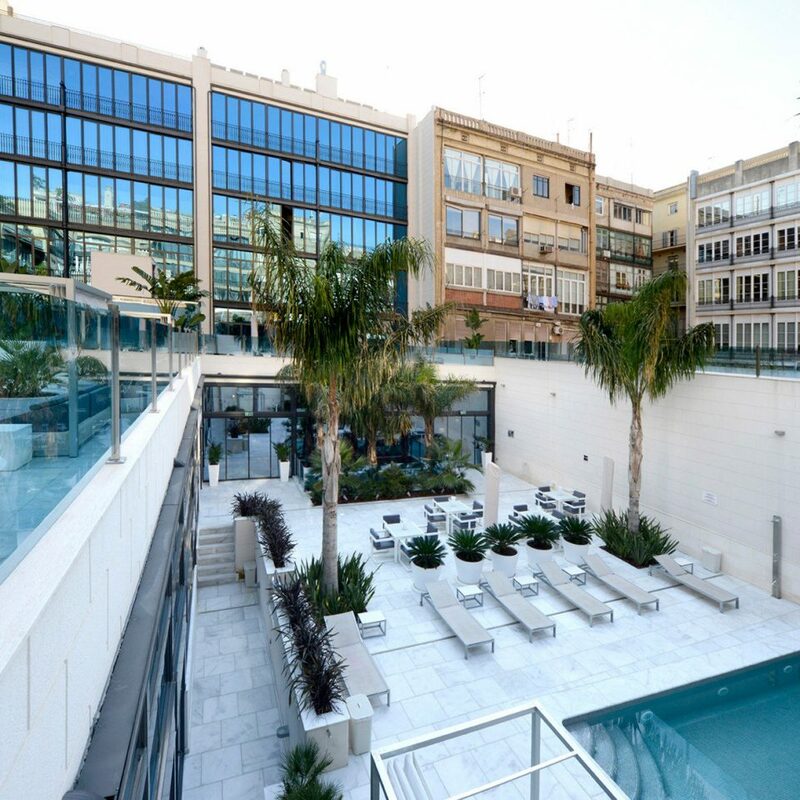 Set in an enviable location near Plaza Catalunya, and boasting a TripAdvisor Certificate of Excellence, Indigo Barcelona is in the heart of the action, making it a perfect base for exploring the best of this dynamic city. 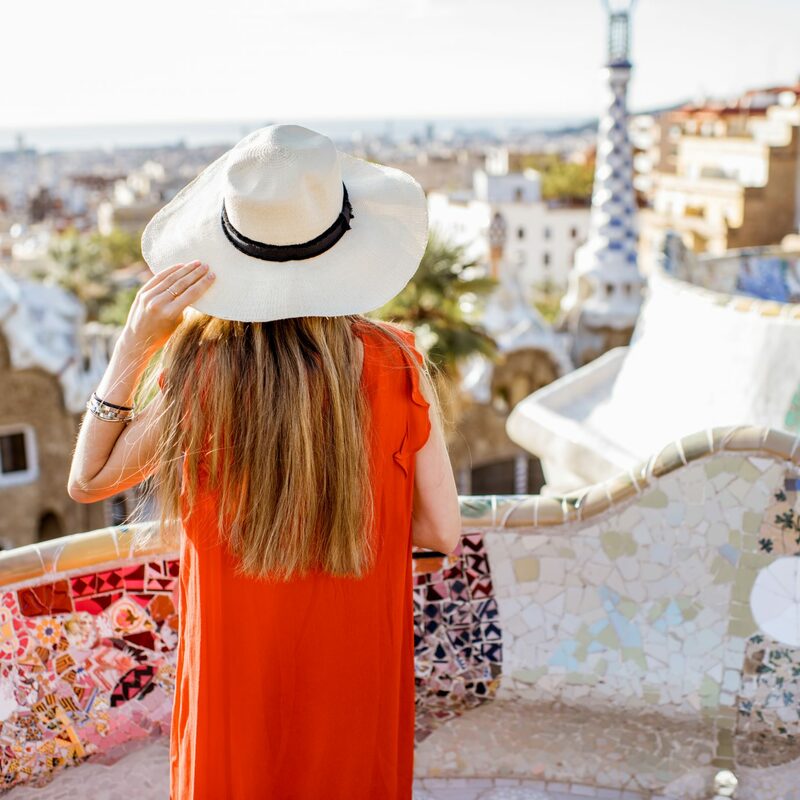 Wander down Las Ramblas for some people-watching, browse the boutiques and department stores nearby, enjoy easy access to the Gothic Quarter, and walk to the famous Gaudi buildings of La Pedrera and Casa Batllo. 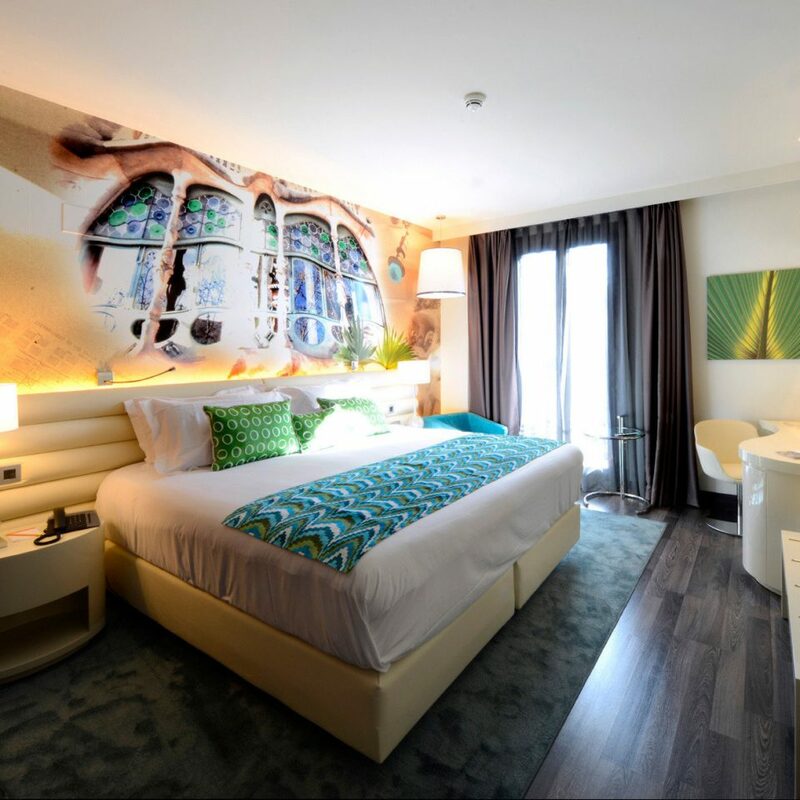 Behind the hotel’s classic modernist facade, the hotel houses a bold homage to the city’s most famous son with a huge Gaudi-inspired mural. 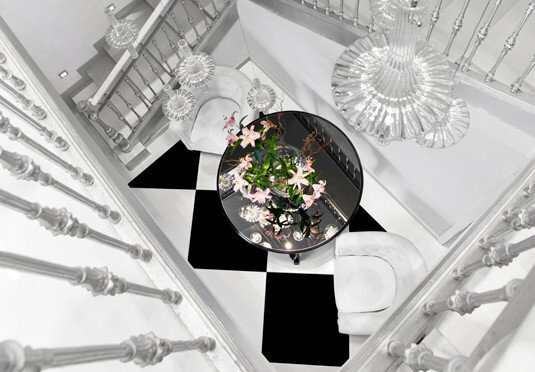 White sofas, jewel-colored cushions and balustrade balconies continue the theme, while a cool and lively restaurant completes the offering. The icing on the cake? 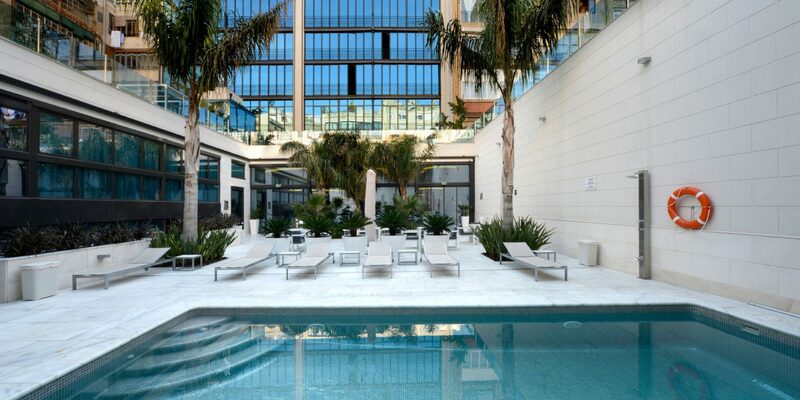 The small outdoor courtyard pool – an oasis of calm and the perfect end to a day of sightseeing. 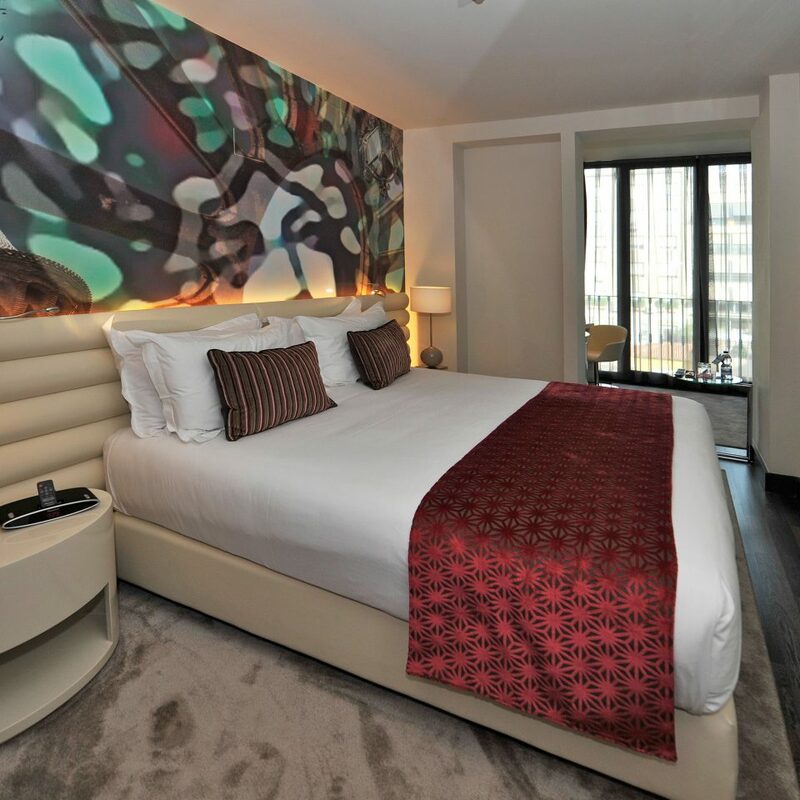 Spacious rooms subtly reflect the city’s history with photos and artwork. 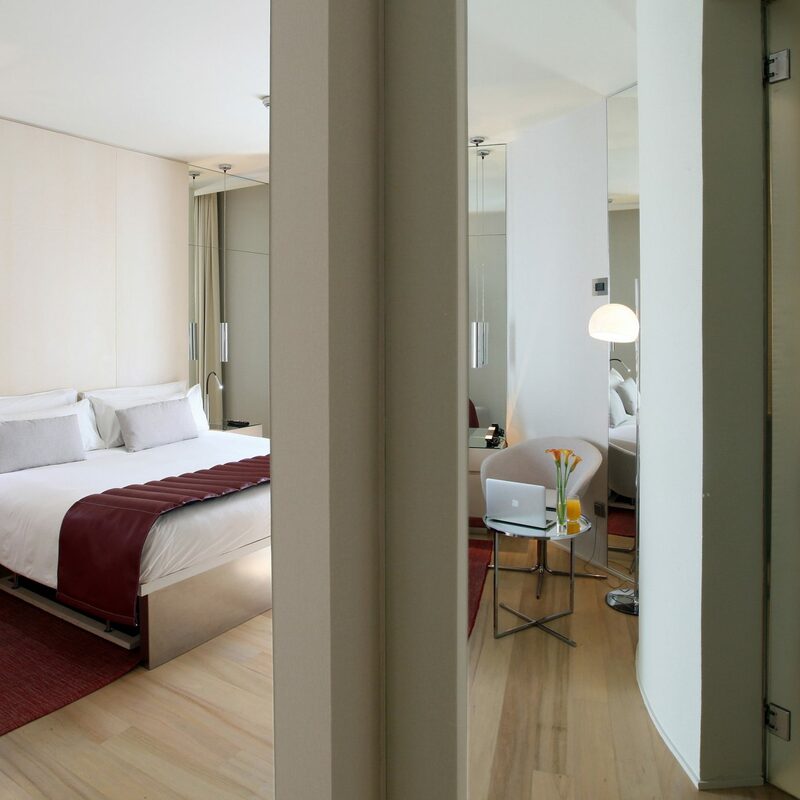 Views from the Deluxe and Executive rooms are of either the pool or Gran Via de Les Cortes Catalanes; excellent soundproofing makes for a restful night’s sleep. 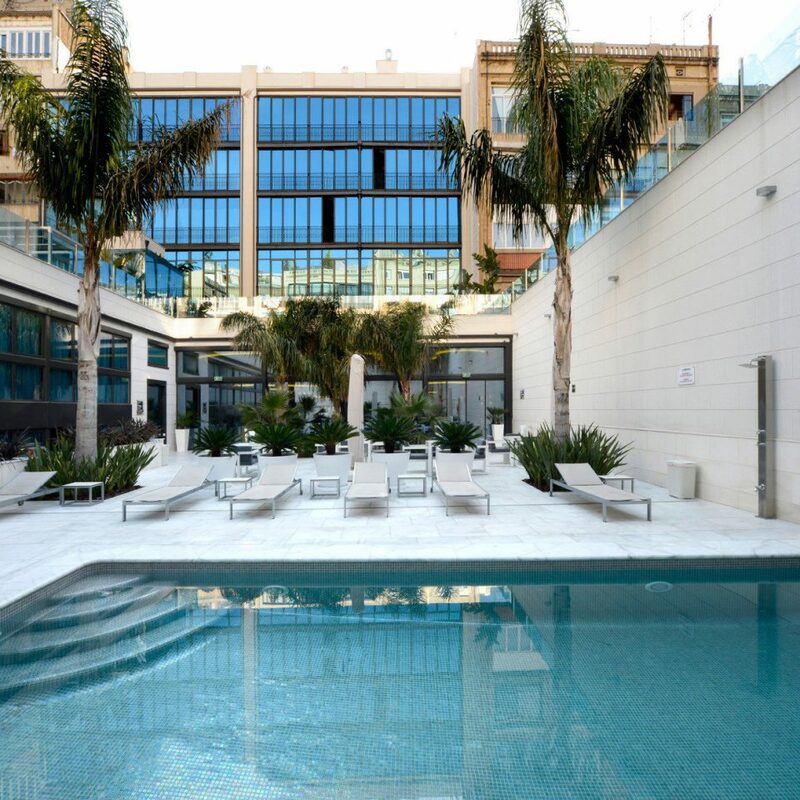 Choose a Deluxe instead of Superior to have a private terrace facing the pool or balcony facing Gran Via, instead of a small balcony. 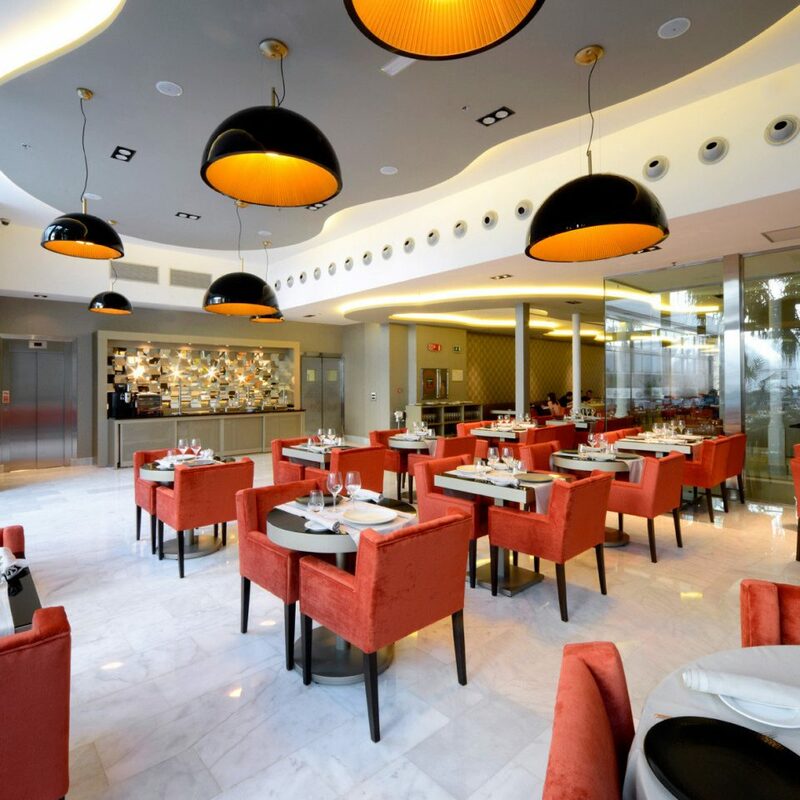 Expect Spanish cuisine with an innovative twist in the restaurant, all in creative and buzzing Gaudi-inspired surroundings. Settle down here for breakfast, lunch and dinner as well as coffees, snacks and signature cocktails, with locals and guests alike. The location could not be more central. 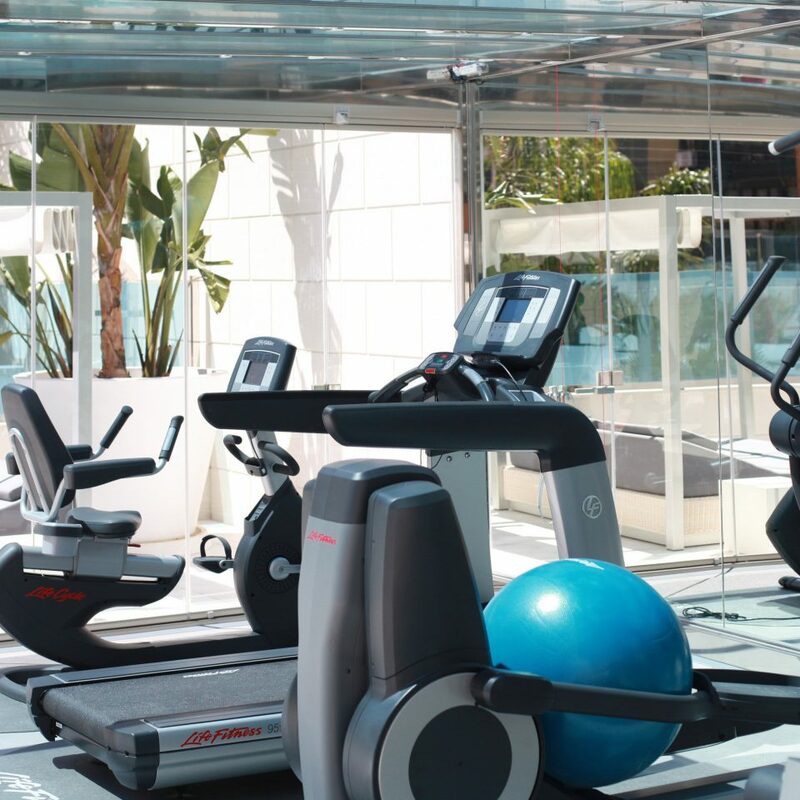 Although there are numerous metro stops close by, you can walk to all the main attractions. Gaudi’s Casa Batllo and La Pedrera are less than a 10-minute walk away, as is Las Ramblas and the Gothic Quarter. 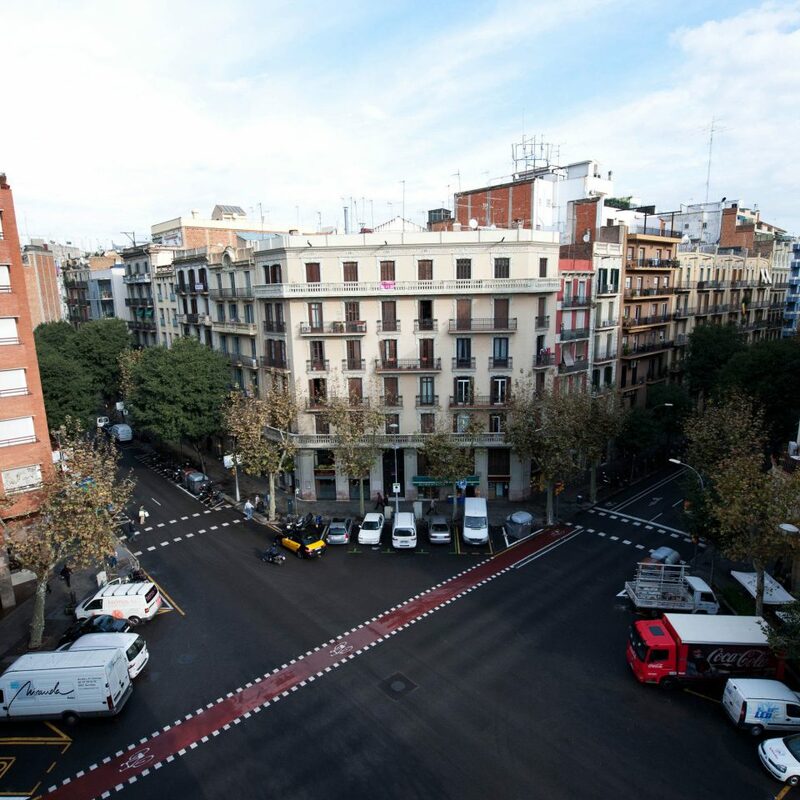 Plaza Catalunya is only two blocks away, where you’ll also find Palau de La Musica Catalana. Sagrada Familia Cathedral is also within easy reach. Take the metro and visit Gaudi’s Parc Guell, or Montjuic’s cable car for spectacular views over the city. 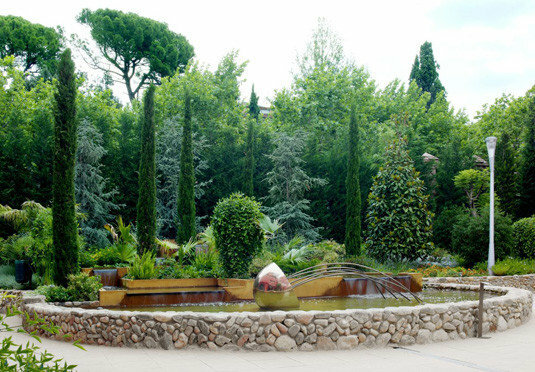 We opted to spend one day in Barcelona prior to our Mediterranean cruise. 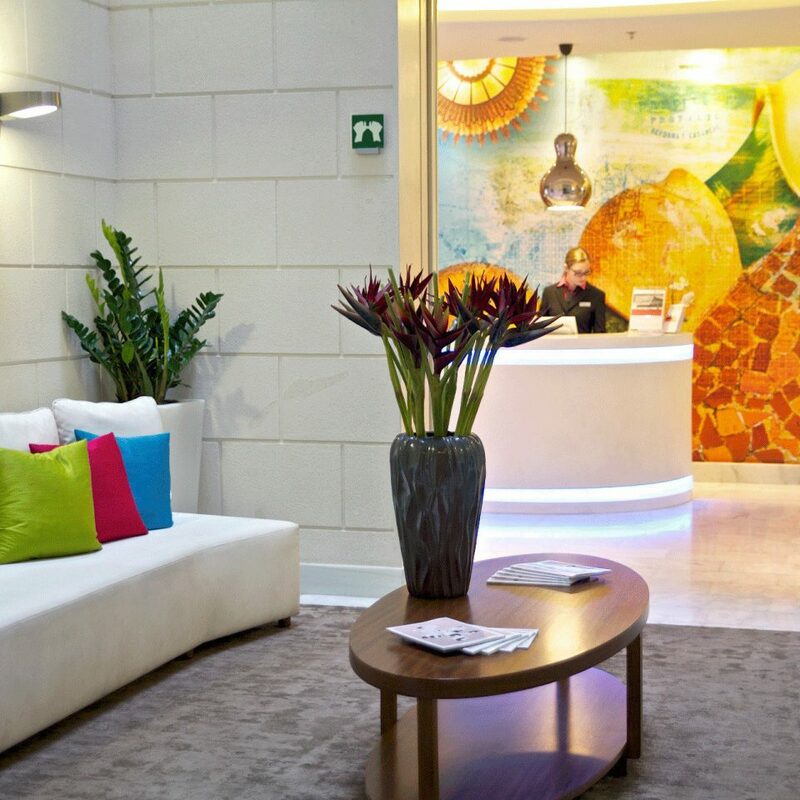 Windstar Cruises suggested Hotel Indigo and we were grateful to discover this lovely venue. 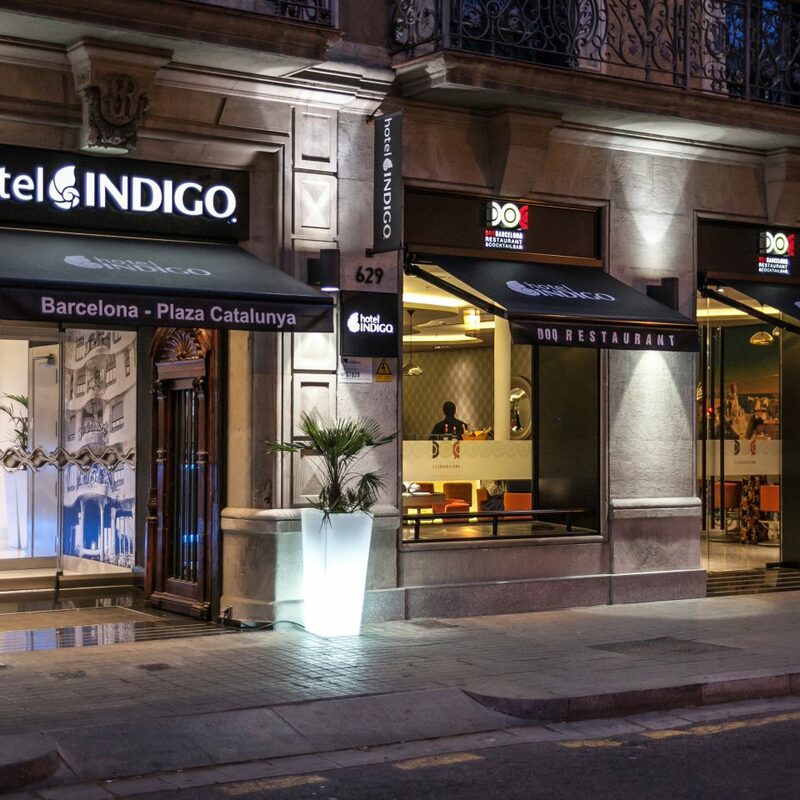 We found the Hotel Indigo to offer lovely rooms, excellent staff and an ideal location in one of our favorite cities. 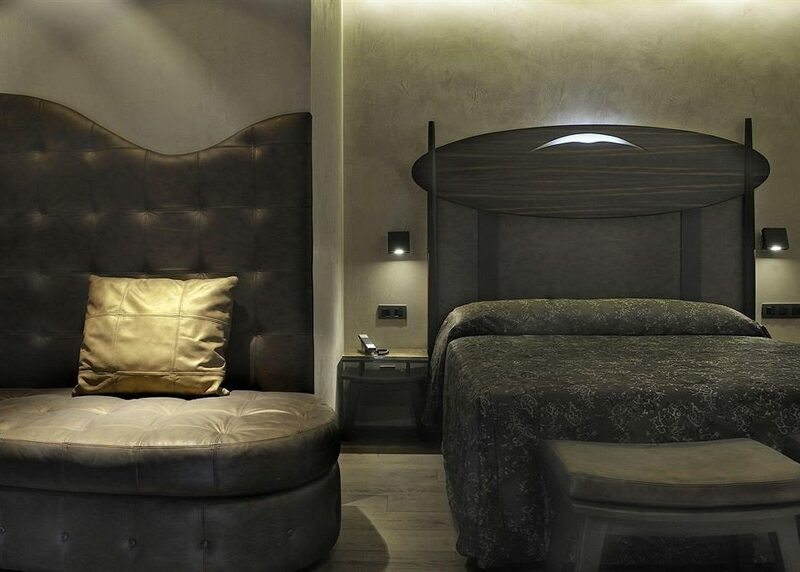 A visit to Barcelona is always a treat and a stay in this hotel only added to the experience. We look forward to returning to both. I was staying in the hotel and my wife’s cosmetics were damaged by leaking sewage water from the upstairs room. I tried to contact management several times and they were very unresponsive. It has been two months now and they have not resolved the issue after stating that they would reimburse us for the ruined cosmetics in emails. Stayed for 3 nights in April through Secret Escapes. 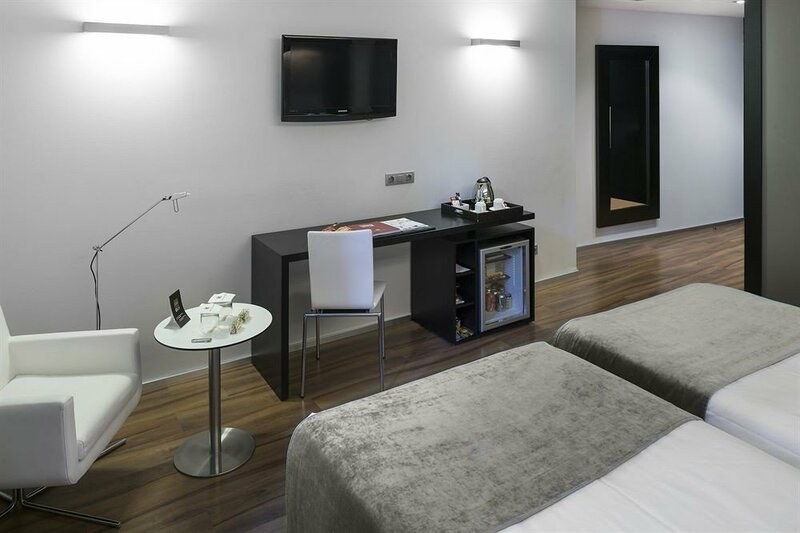 We had a very nice room on the 6th floor with a large outdoor terrace with sun loungers and the couple we were travelling with were IHG members and were upgraded to a larger room. We were able to walk to all of Barcelona's main the attractions and the beach from the hotel, without it taking too long. The only exception was the Park Guell (which is out the town on a hill), which we took the metro to (close to the hotel) and free bus. Hotel staff very pleasant and helpful. The Barcelona Market is very good (but expensive), Beach restaurants are the same, but have a great choice food. Obviously everyone encourages you to keep your belongings close when walking down Las Ramblas because of handbag snatching etc, but we didn't see anything. 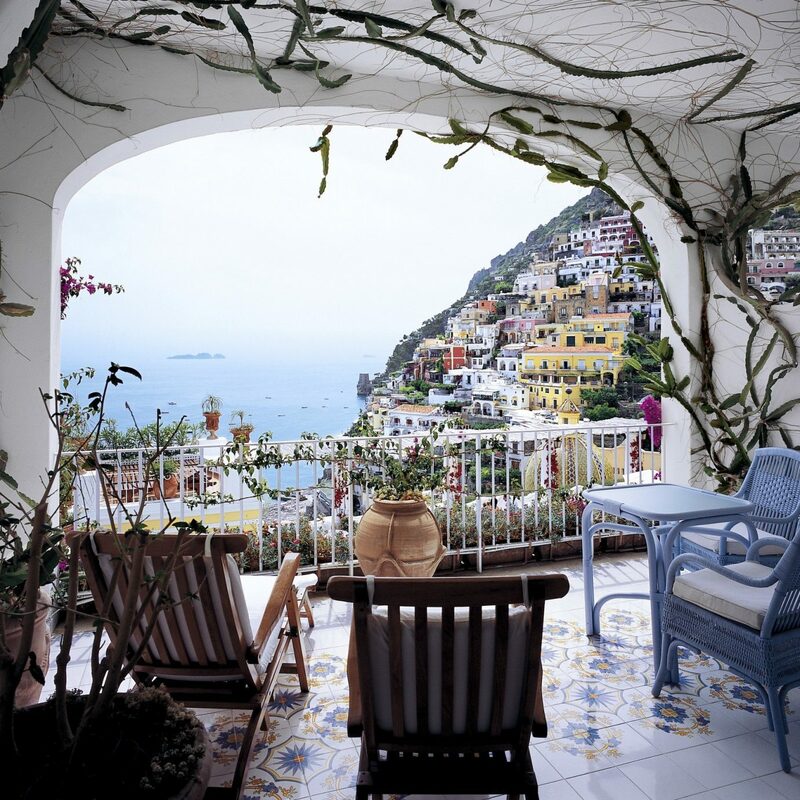 In short good location, nice hotel and good value, would go back.